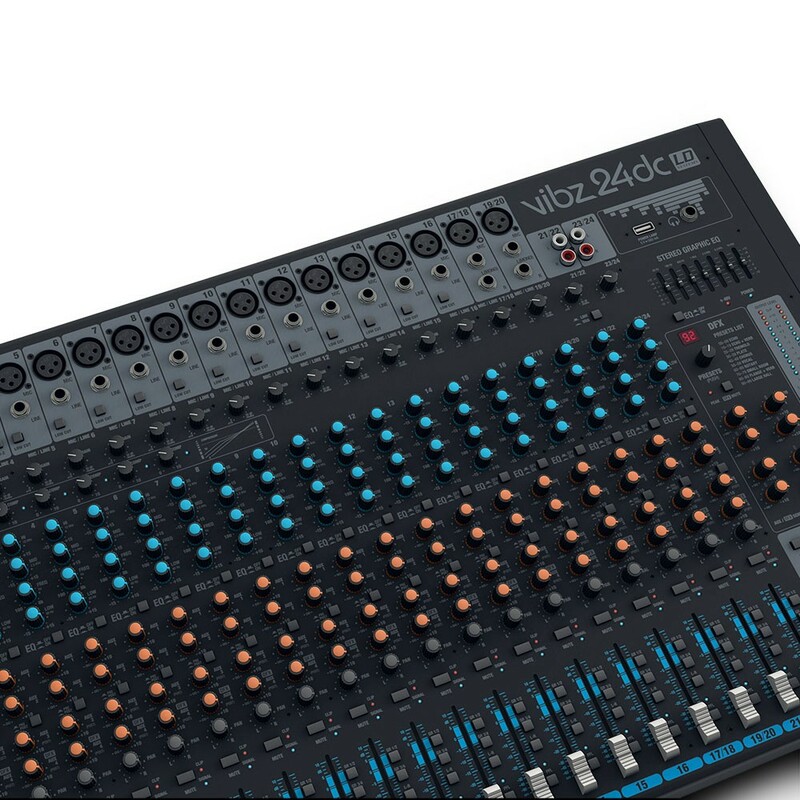 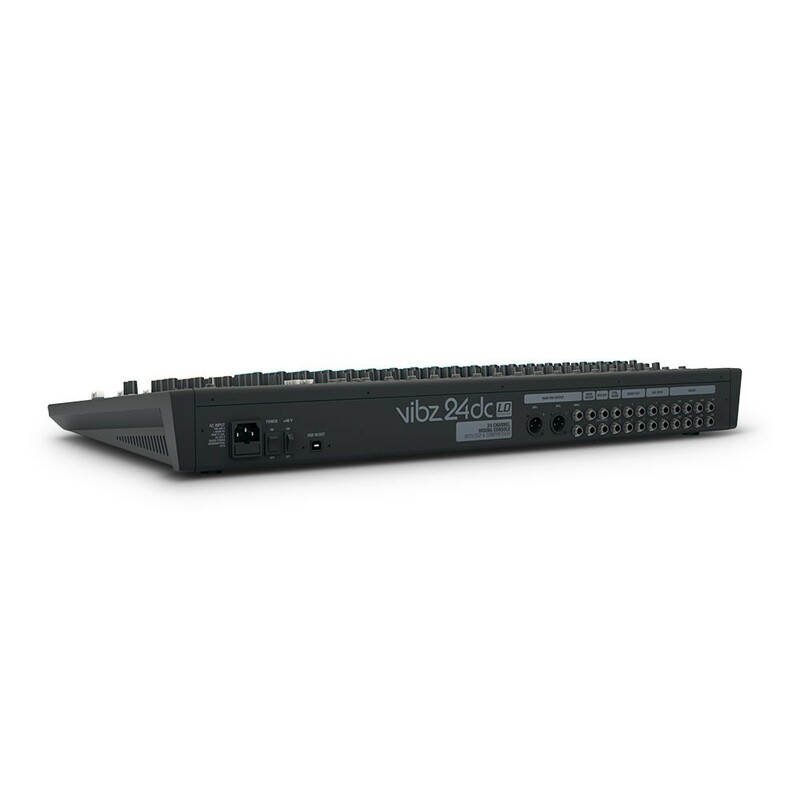 The flagship of the VIBZ Series of mixing desks, the VIBZ 24 DC is designed for superb audio in home studio and live applications. 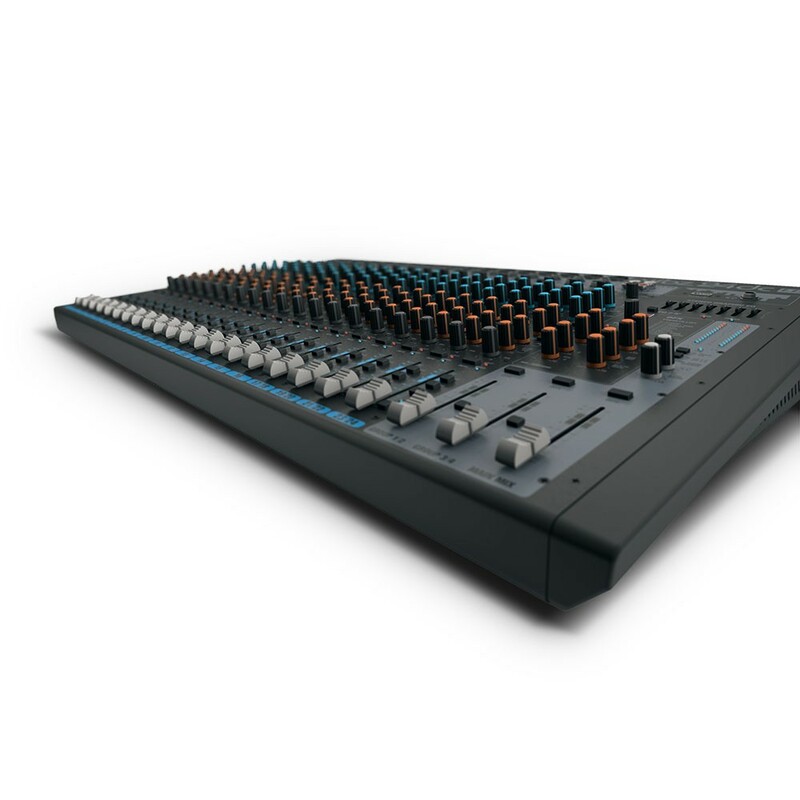 It sports 16 mono channels with 3-band EQ and semi-parametric midrange, 4 stereo channels with 4-band EQ, 4 subgroups, 24-bit digital effects with 100 presets and smooth 65 mm audio taper faders. 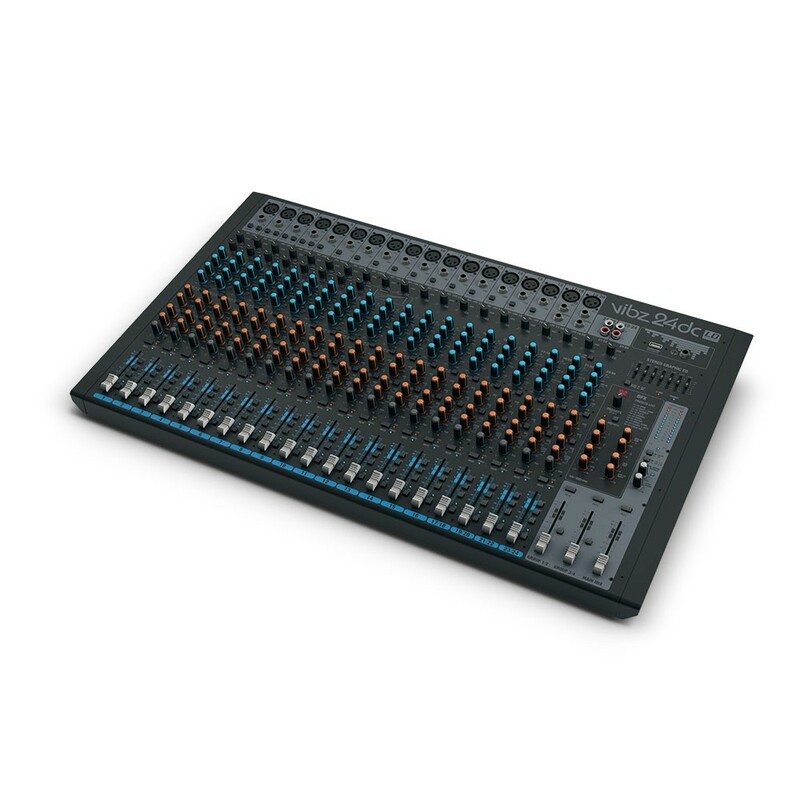 All channels feature high-quality preamps with gain control, 4 aux sends, mute, PFL and routing switches plus signal and clip LEDs. 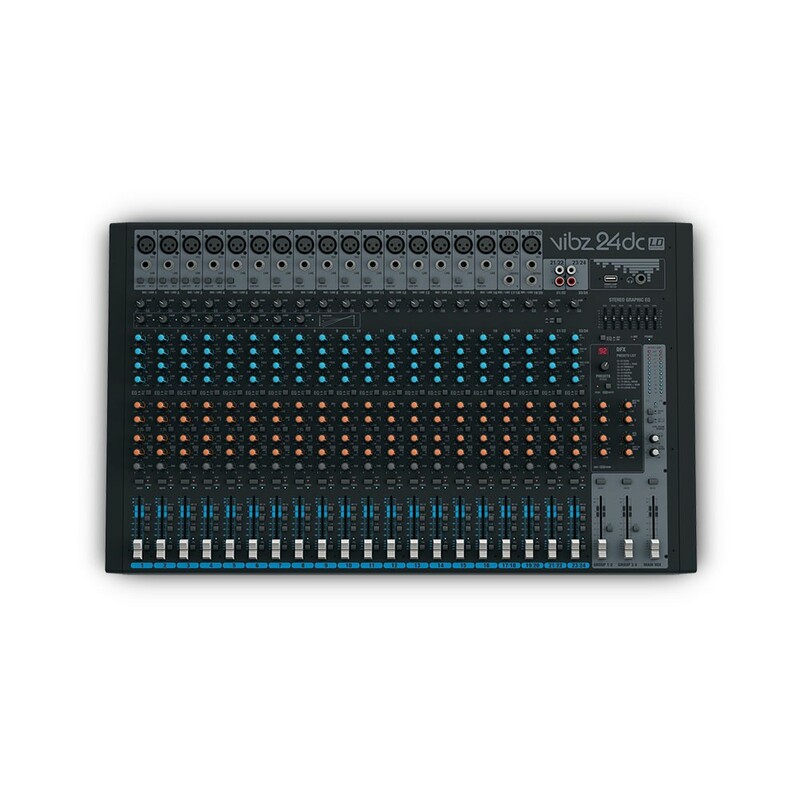 Two sends are switchable pre or post fader to enable monitoring or effects use. 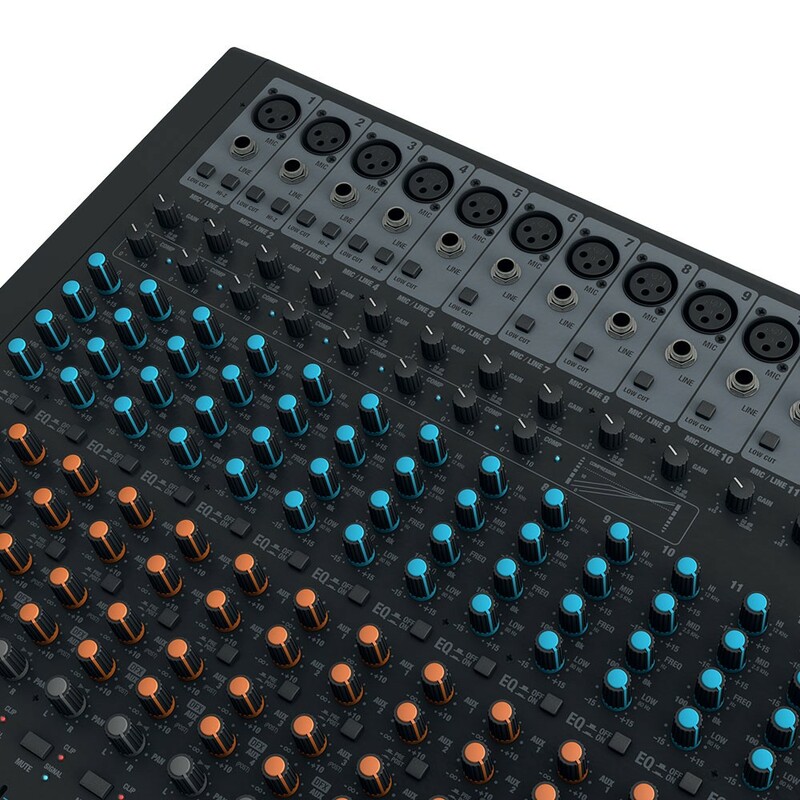 The mono channels' XLR mic and TRS line inputs are electronically balanced with channels 1 – 8 providing convenient one-knob control of the built-in compressor and individual insert points for outboard processing. 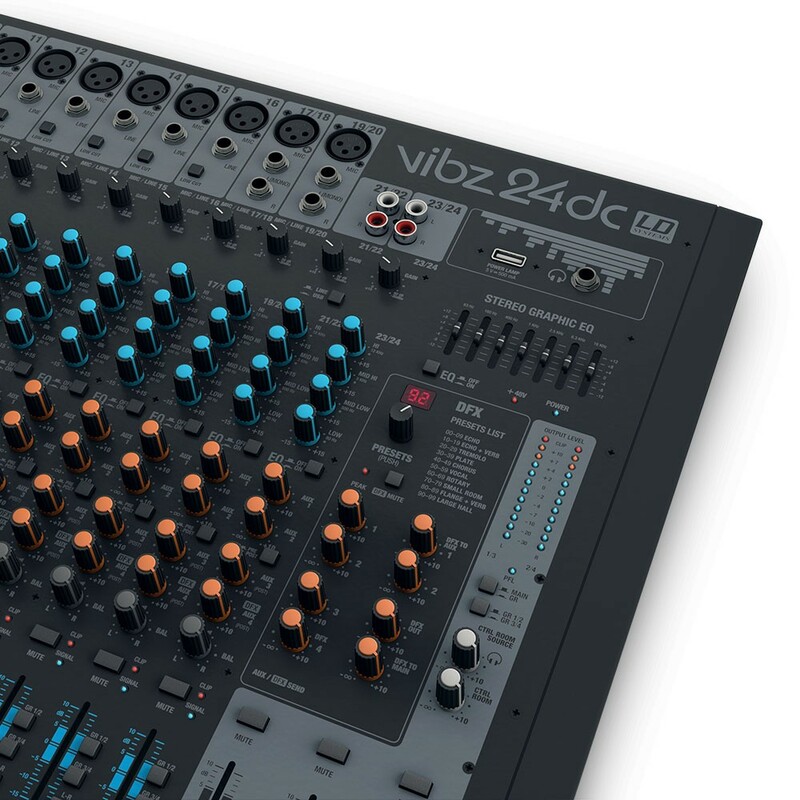 The master section offers balanced and unbalanced main mix and individual group outputs with precision metering, control room and headphone outputs with level controls and a global 7-band graphic EQ. The VIBZ 24 DC integrates a multi-voltage power supply for 100 – 240 V AC operation.